Has Venezuela’s Opposition Lost Sight of What It Is Fighting For? 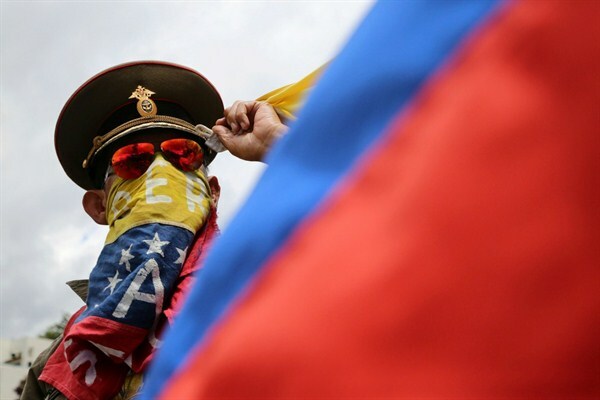 An anti-government demonstrator wearing a Russian military hat protests the government of Venezuelan President Nicolas Maduro in Caracas, Venezuela, Aug. 6, 2017 (AP photo by Wil Riera). The United States issued a new batch of sanctions against Venezuela last Friday, targeting high-ranking members of President Nicolas Maduro’s regime and setting up a “financial blockade” against the state-owned institutions that fund them. Cutting off Maduro’s revenue may be the key to his ouster, U.S. officials have said, but restoring democracy in Venezuela after he’s gone looks to be a more complex, internal issue.